SOCHI, May 17. /TASS/. The United States has been developing political schizophrenia, Russian leader Vladimir Putin said commenting on media reports about US President Donald Trump revealing some classified information at a meeting with Russian Foreign Minister Sergey Lavrov. "At the same time, we see that the United States has been developing political schizophrenia, this is the only thing I can think of when I hear allegations saying that the president has revealed some secrets to Lavrov," Putin said at a press conference following his talks with Italian prime minister. The Russian leader also said that he had discussed this topic with Lavrov earlier on Wednesday and had jokingly pointed to the need to reprimand the top diplomat "for not sharing these secrets." "I will have to reprimand him because he shared these secrets neither with me nor with the Russian secret services which is very inappropriate on his part," Putin joked. 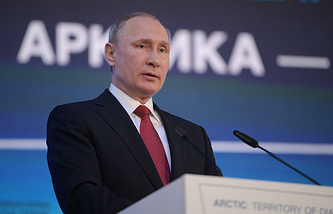 The internal political struggle in the US, including anti-Russian rhetoric as one of its manifestations, can harm the United States itself, Putin said. "You know what surprises me? 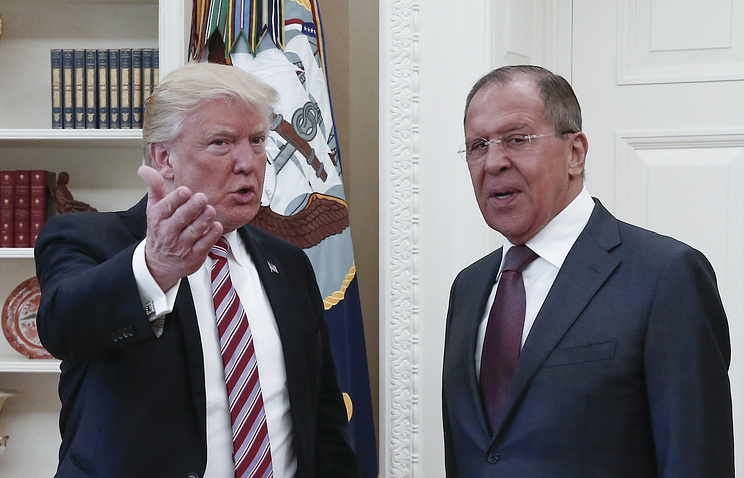 They are destabilizing the internal political situation in the United States under anti-Russian slogans," Putin said commenting on the allegations that classified information was supposedly handed over by Trump to Lavrov. He described the accusations hurled at Russia as utter nonsense. "They either do not understand that they are harming their own country, which means they are just short-sighted, or they understand everything, and that means that they are dangerous and unscrupulous people," he emphasized. "Anyway, this is the business of the United States itself. We have no intention of interfering there and we will not do so," the Russian president vowed. Putin also refrained from assessing Trump’s performance as president, stressing that such assessments should be given by the American people and its constituency.